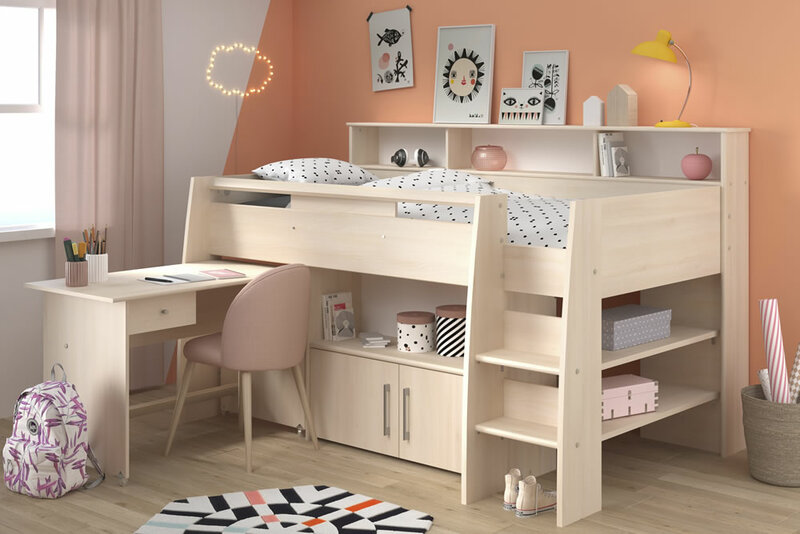 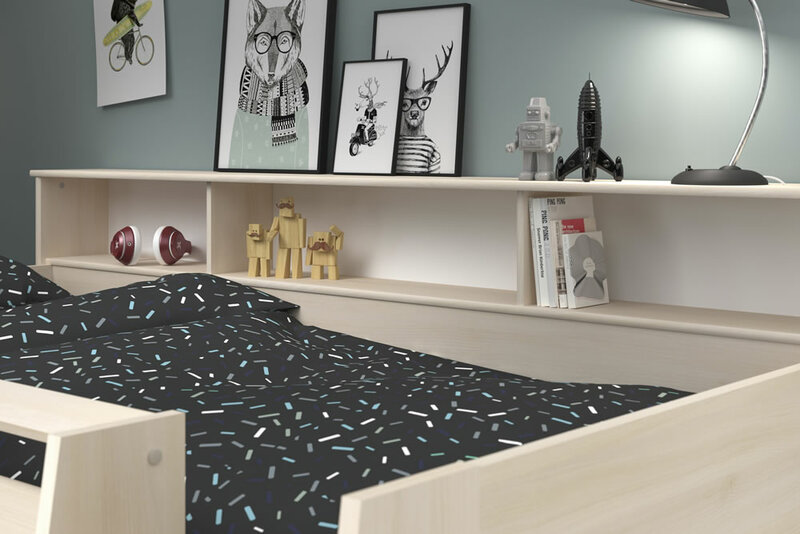 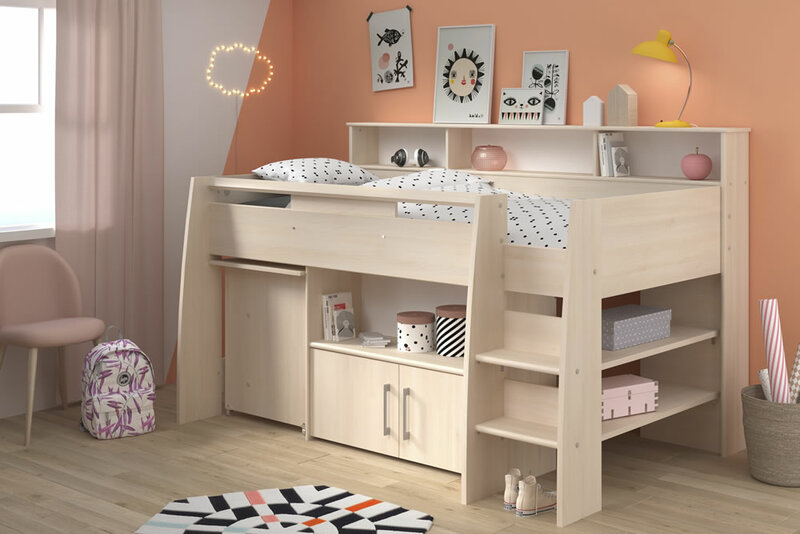 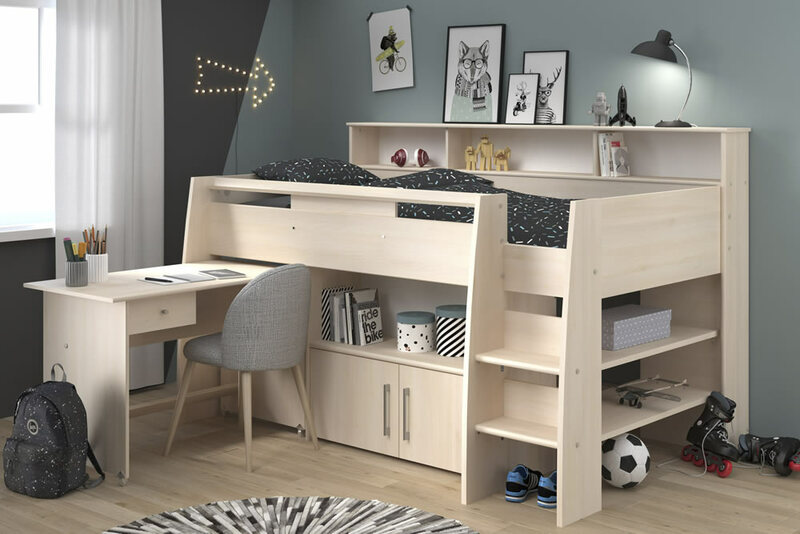 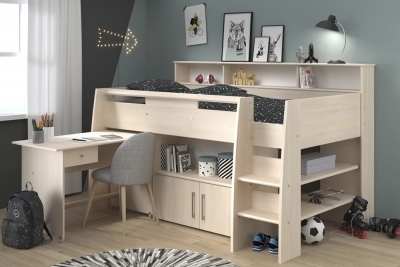 The Parisot Kurt midsleeper bed in an Acacia finish features a pull out desk with a single drawer, double door cupboard and storage shelves. 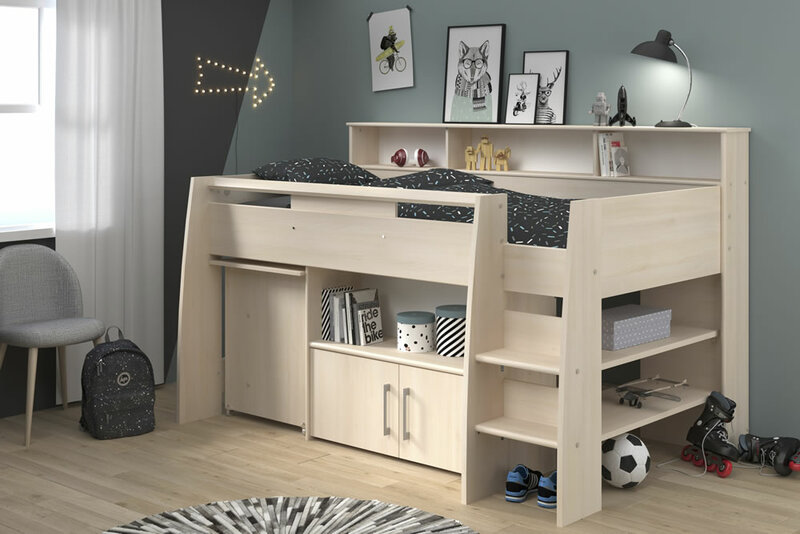 The Kurt cabin bed offers space for a full size continental single mattress 90cm wide by 200cm long. 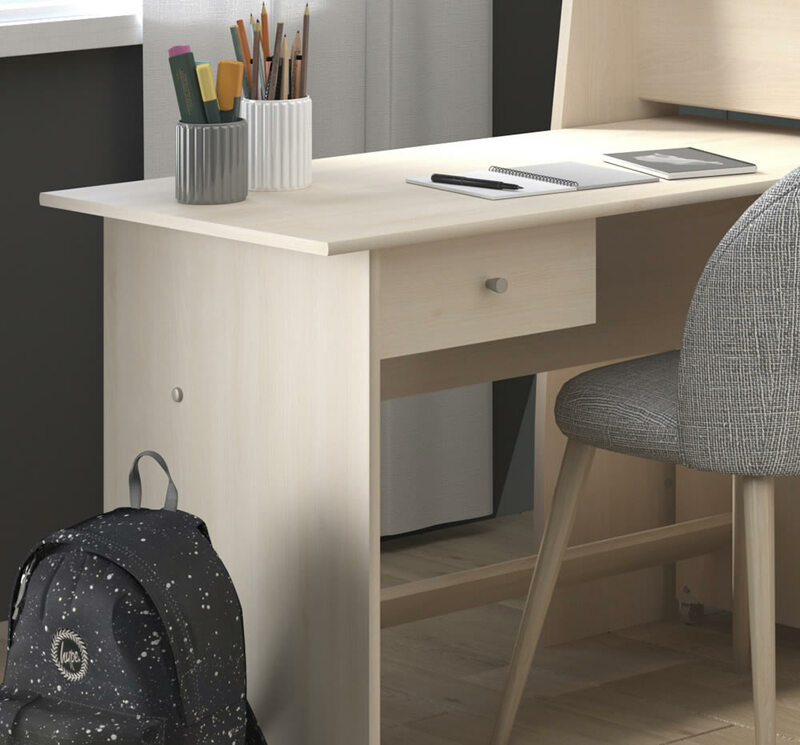 The space saving pull out desk features caster wheels for easy movement and a under desk storage drawer. 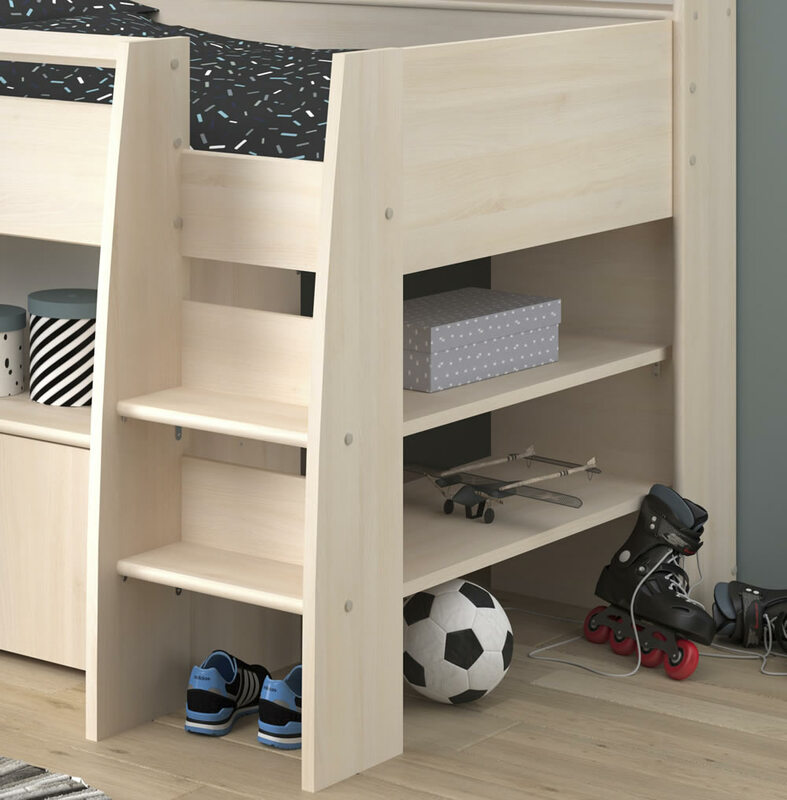 For additional storage the Kurt midsleeper bed has two large shelves located behind the sturdy 2 step ladder. 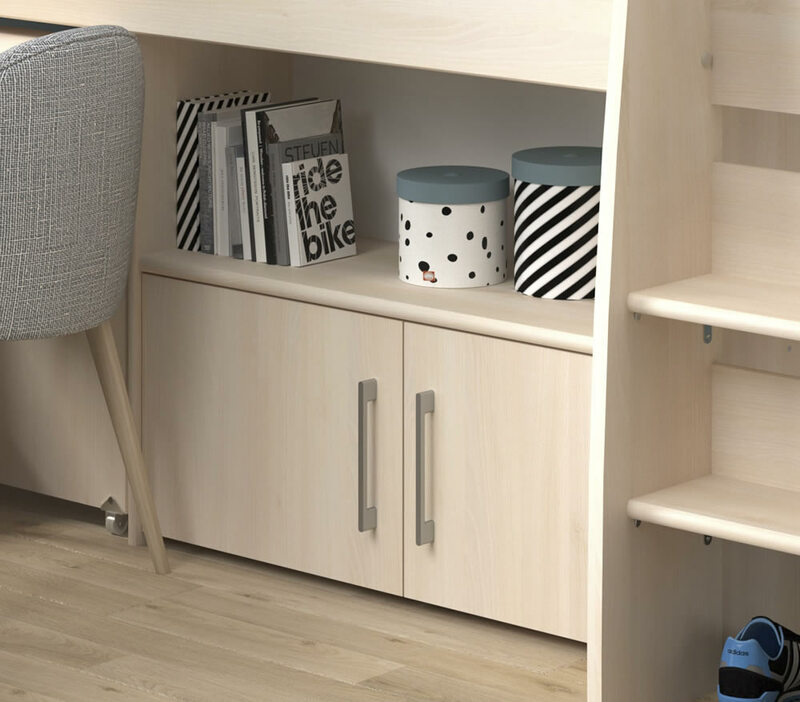 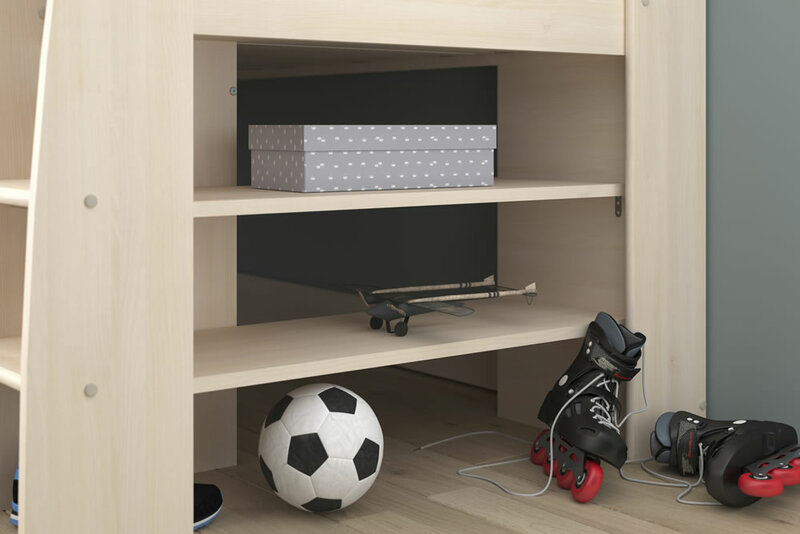 The cabin sleeping area offers three bookcase style shelves with a full length bedside shelf above.